Sauropod dinosaurs that roamed the planet 150 million years ago may have released more methane gas into the atmosphere than all modern sources combined. Although methane does not stay in the atmosphere as long as carbon dioxide, it is 20 times more effective at trapping heat than CO2. “A simple mathematical model suggests that the microbes living in sauropod dinosaurs may have produced enough methane to have an important effect on the Mesozoic climate,” Dr. Wilkinson told The Telegraph. 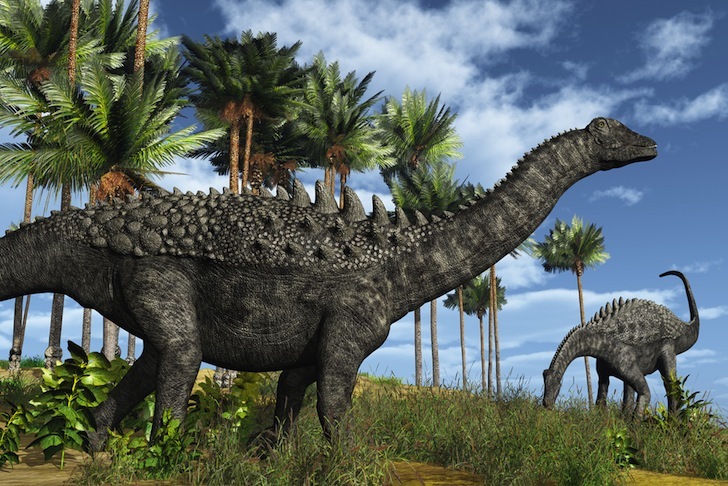 The researchers compared sauropods to the modern dairy and beef industry. 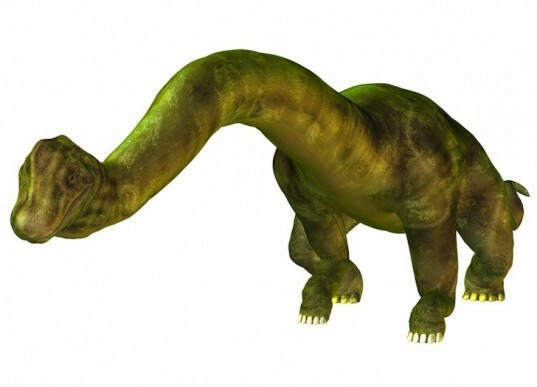 “Global methane emissions from medium-sized sauropods that weighed about 20 tonnes would have amounted to around 472 million tonnes per year,” the study concluded. That amount is roughly equivalent to the 500 million tonnes of methane released into the atmosphere today. Prior to the industrial revolution, before beef production exploded, natural methane emissions only added up to 181 million tonnes per year. We know that today's cows are responsible for producing staggering amounts of heat-trapping methane gas, a major driver of climate change, but British scientists now claim that dinosaurs with vegetarian diets may have contributed to prehistoric global warming simply by passing gas. Dr. Dave Wilkinson from Liverpool John Moores University led the study, which was published in the journal Current Biology. He told The Telegraph "Indeed, our calculations suggest that these dinosaurs could have produced more methane than all modern sources."